There’s good news and bad news when it comes to new books this autumn. The good news? 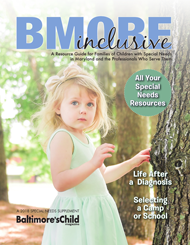 Fall affords an overabundance of exciting and heartwarming tales to ready our readers for the upcoming holidays and family time. The bad? It was nearly impossible to limit our selections. Many thanks to The Ivy Bookshop and The Children’s Bookstore for their recommendations. Read on! 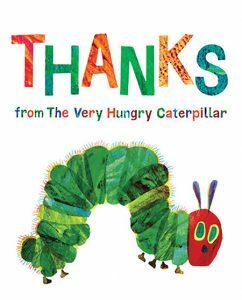 Thanks from the Very Hungry Caterpillar by Eric Carle. With each turn of a page and colorful, stunning illustration, explore the many ways to tell our loved ones how much we appreciate them. 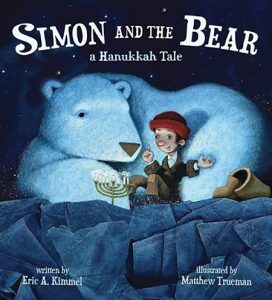 Simon and the Bear: A Hanukkah Tale by Eric A. Kimmel, Illustrated by Matthew Trueman. Before Simon heads off to America in search of a job and a better way of life for his family, his mom packs his knapsack with provisions, and a Hanukkah menorah, candles, latkes and a dreidel. During his arduous journey, his faith — at times wavering — helps him appreciate the miracles all around him. 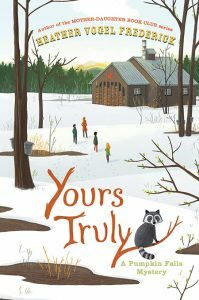 A sweet story, gorgeously illustrated, showing just how serendipitous life can be. 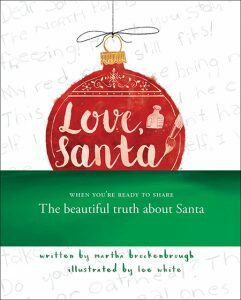 Love, Santa by Martha Brockenbrough, illustrated by Lee White. This encouraging story of kindness, belief and generosity unfolds, quite literally, through a series of letters — paper envelopes with removable correspondence — sent by a little girl to Santa. After many devoted years to Santa, she begins to wonder if he is real, and in a moment of uncertainty, sends her annual letter to her mother instead. 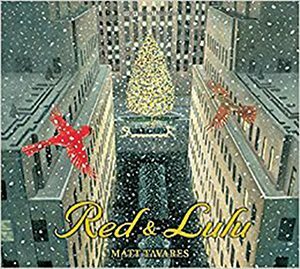 This coming-of-age question, how her mother answers her inquiry and the explanation of what it means to demonstrate Santa’s magic are told in a loving, inspiring and tender manner, beautifully illustrated on every page. Red and Lulu by Matt Tavares. An unexpected tale about a pair of cardinals who live in a serene evergreen tree only to be accidentally separated when the tree is chopped down and relocated to New York City for use as the Big Apple’s official Christmas tree at Rockefeller Center. A story of triumph and perseverance and how important it is to be with those we cherish, especially during the holidays. 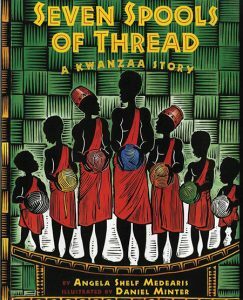 Seven Spools of Thread: A Kwanzaa Story by Angela Shelf Medearis, illustrated by Daniel Minter. A story of seven bickering brothers and their dying father’s insistence that in order to earn their inheritance, they must learn to work harmoniously or find themselves alone and impoverished. 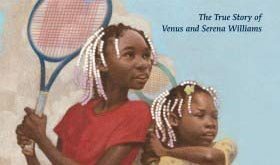 This tale weaves together the seven Kwanzaa values in a relatable manner, showing through text and illustrations the power of families and communities coming together, despite difficulties, for the greater good. 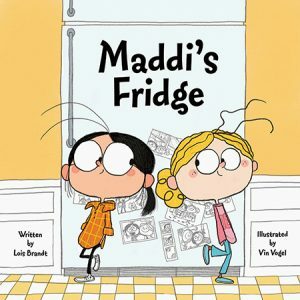 Maddi’s Fridge by Lois Brandt, illustrated by Vin Vogel. This sensitive and honest story of two best friends who share the same interests and community, but one whose fridge overflows with healthy food and the other whose fridge is empty because they can’t afford to fill it. Can assisting a friend in need be done in a way that preserves dignity, meets a need and demonstrates empathy and love between friends? 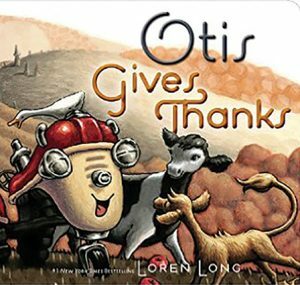 This story is told in a caring, honest manner from a child’s perspective and highlights problem-solving without assigning blame. Pax by Sara Pennypacker, illustrated by Jon Klassen. Peter and Pax, his young fox, are inseparable until an impending war forces Peter and his family to relocate to his grandfather’s home hundreds of miles away. Peter feels unsettled in his new surroundings, and despite the dangers of war and distance, must journey back to his home to be reunited with his beloved pet. A story of devotion, family, loyalty and choices, this tale is told from alternating narratives of Peter and Pax, as each must learn to survive on their own while never losing hope that they will be reunited. Yours Truly by Heather Fogel Frederick. The award-winning author of the Mother-Daughter Book Club Series “Absolutely Truly” has created another mystery featuring the young heroine Truly Lovejoy. The story unfolds around the annual fall maple festival and involves investigating sabotage and historical intrigue. Fans of family-oriented, autumnal mysteries will surely be satisfied. 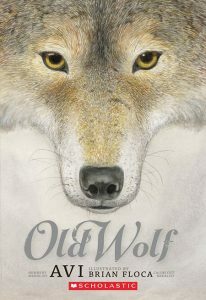 Old Wolf by Avi. This is an intricate story of two hunters. One is a young teen whose preferred method of hunting is through his computer game, Bow Hunter, which racks up “kills” without death. The other hunter is a Colorado wolf named Nashoba, whose existence illustrates the reality of killing prey for food. Narratives alternate between boy and animal, virtual death versus hunting, sport versus food for survival, so this quick-paced adventure story should entice even the most reluctant reader in your pack. 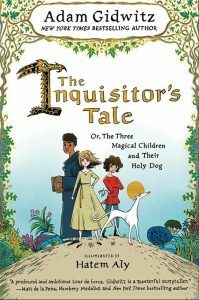 The Inquisitor’s Tale by Adam Gidwitz, illustrated by Hatem Aly. So a Jewish boy, an oblate and a peasant girl go into a bar. Actually, they don’t, but three men do go into an inn and begin telling alternate stories of these three unlikely heroes. As the narrator weaves together their converging stories, a complex and magical tale unfolds. Nuanced with the universal theme of faith, tolerance and respect for others, this historically researched and action-packed story is sure to please. 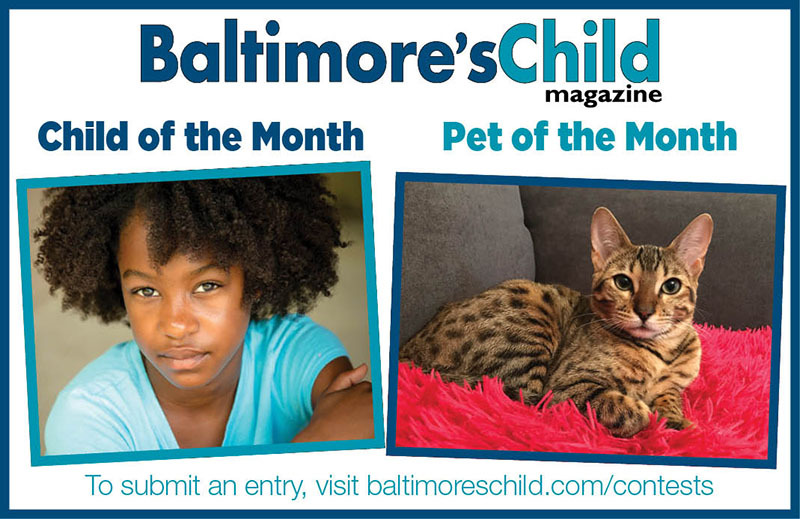 Plus, Gidwitz grew up in Baltimore, so it’s always nice to support one of our own.